Last year, I made a list of 27 things I wanted to do before I turned 28. I revisited my list last month and checked my progress. This was the first year I'd made this type of list, and I wasn't sure how much I'd get accomplished. Isn't that always the case when you set goals for a year at a time? I accomplished many of the things on the list, some of the goals changed, and yet others weren't touched at all. This year, I made another list. 28 things I want to do before I turn 29 next year. I moved some of my un-accomplished goals from last year to this new year's list, and added a bunch more as well. Some of them are my 2014 goals, and some are additions. 1. Read my new devotional daily throughout 2014. 2. Make freezer meals from Pinterest. 4. Finish three DIY projects: lamp, book page wreath and pillow covers. 5. Photograph 10 more ladies for The Pink Beauty Experience. 6. Go camping with Matt and Remy. 7. Rent mountain bikes and ride the Cuyuna Trails. 8. Write a Love Your Camera E-book. 9. Buy a fire pit or build one at our house, and have a bonfire. 10. Visit the southern MN petroglyphs. 11. 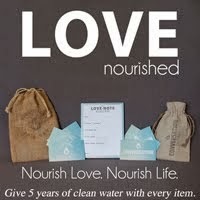 Create a video from the clips I shot, for Love Nourished. 13. Finish our leftover tasks from Financial Peace University. 14. Plan Quarterly dinners each with the Hensels and Millers at our house. 15. Walk the beach along the Gulf, in Florida. 18. Go out to dinner in Florida to celebrate 6 years of marriage with Matt. 19. Revamp this blog with the help of Typeset Design. Create a space where all avenues of my personal/professional/creative endeavors can coexist. 20. Read 8 business books. 21. Read 40 fun books. 22. Make a book of photos from 2013, aka Remy's first year. Save photos so that I can make one for 2014 too. 23. Be photographed along with Matt, while I wear my wedding dress again. 24. Print a canvas or two for our walls. 25. Watch movies in bed/read in bed for one whole day. 26. Make a habit of yoga and meditation. Do each 2 times per week. 27. 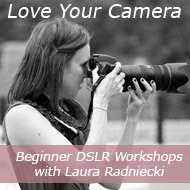 Host another Love Your Camera workshop. 28. Help Matt breathe life into his dream project. Details to come when the time is right. I've made notes in my calendar to check this list every three months, to see how I'm doing. To remind myself of what is on this list, and see if I need to change or update anything. 28th year, let's do this!